When to use Kanban vs Scrum? 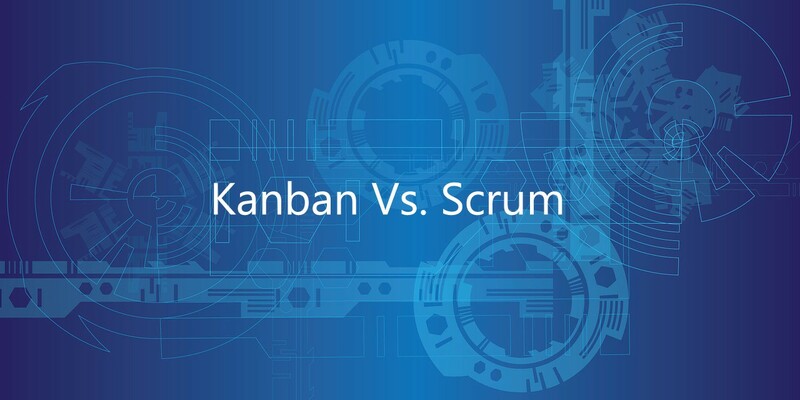 Both the kanban and scrum are two terminologies that are often used interchangeably or can also be used considering them as two sides of the same coin. Perhaps there also exists a mutual difference between both of them as per the Agile methodologies. In fact, one who understands the major difference between both of them will really get a basic idea of how to differentiate it. However, these two terminologies are often used in terms of visual processing as well as project marketing tool. Depending upon the flexibility people choose either scrum or kanban. While choosing them it is not always necessary to differentiate since they always go hand in hand. And in this post, we are going know when to use Kanban and Scrum? Kanban is perhaps originated in Japan and of course a visual way that will help in managing the workflow. Moreover, this is less structured compared with that of the scrum and it does not have any real process Framework at all. Scrum has been establishing since the mid of 1980 and has become part of sub methodologies included in Agile since 2001. However, it has come into existence by Ken Schwaber and Mike Beedle who literally made it happened via book named Agile Software Development with Scrum. Regardless of choice and stick with it at least for some time however it is essential to know which one to choose among both of them. You can check a detailed post on Kanban Vs Scrum on the real-time board. Scrum is well preferred if you require your development team who can put complete efforts to complete a particular project and at the same time it is also essential to concentrate on the customer’s interest. Never choose the scrum if it is not best suitable for your team. On the other hand, you can very easily prefer kanban if you give more preference for flexibility when compared to that of predictability. At the same time, it is never good to choose kanban if it does not suit your team. Finally, you can also prefer Agility if you give more preference to agile principles rather than other of scrum nor kanban is a perfect fit. Considering both the roles and responsibilities of kanban and scrum they basically have three different roles to specify. However, these roads must be established in order to make the process more efficient. They are namely the product owner, scrum master, and the team members. Each and every role has its own set of responsibilities, however, all of them should go together in order to achieve and balance the work effectively. Considering the scrum team must always start cross functioning which is to make sure that they fully utilize all the resources in order to make the work more effective. On the other hand, considering the Kanban does not have any effect of prescribed roles that it need to play. Literally, it means that someone has to act as a project manager while handling these type of complicated Kanban projects in addition to that the role should be more theoretical. Finally, once a work method has been adopted making use of Agile principles then it is very easy to choose either of them. Of them help in compensating in the most possible ways of maintaining constant workflow. your this information is to be very helpful for me. Hi there, just turned into alert to your weblog thru Google, and found that it is truly informative. I am gonna watch out for Brussels. I’ll be grateful if you proceed this in future. A lot of other people can be benefited from your writing. Cheers! I am running a web development company and I have around a team of 40 people. I prefer Scrum over Kanban as Scrum has so many features and additional benefits. You can easily manage visual processing and project management by using Scrum. It is also a flexible tool. thank you sir for the article about kanban and scrum.